Heirs of Portsmouth - Removals/Storage based in Hilsea, Hampshire. 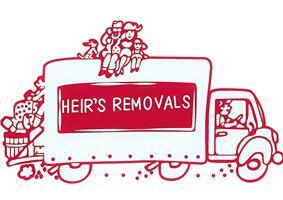 Heir’s of Portsmouth is a family run removals company who have been operating since 1994. We have over 30 years removals experience within the company at present and we are very much aware that the whole process of buying and selling property today can be a stressful affair. However, as the last service provider we strive to complete this phase for you in a professional, reliable and caring manner. We are also proud members of the Move Assured Group. A group dedicated to setting high standards and excellence within the removals and storage industry. We can provide a range of services from Storage to Expert packing services all carried out by our experienced and professional staff.